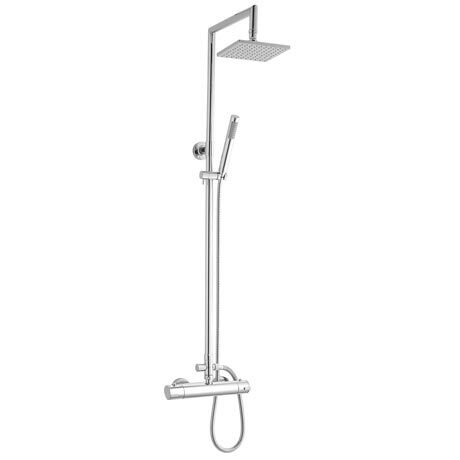 The minimalist thermostatic slimline bar shower valve & rigid riser kit, comprises a chrome thermostatic exposed shower valve, rigid riser with overhead Square sheer fixed head and a minimalist hand shower for extra flexibility - part of our contemporary collection of bathroom products. Thermostatic allowing the user to control the temperature from the bar valve. Overhead shower as well as handheld head for extra flexibility.